​Healthy puppies start before conception. To ensure only the highest quality genetics are passed on to our puppies each of our breeding dogs go through OFA health evaluations for hips, elbows and eyes as well as a panel of genetic tests associated with the labradoodle as recommended by Paw Print Genetics. Oakley is our beautiful black Merle stud. He is smart, willing and so very sweet. Certainly showcases why labradoodles are amazing family pets. He lives with his guardian family and their five children and he is amazing with them all. And when he comes to visit us Oakley has a blast playing with our girls but is very respectful and has amazing manners. He has the perfect personality, loves to play and run with us outside but is a gentleman and low-key in the house when it is time to relax. On top of that his silky soft wavy coat is gorgeous not only in texture but in color. He is also homozygous for the furnishing gene, therefore he will never produce puppies with improper furnishings. Oakley has a beautiful stocky english lab build, he is 23" tall and 60 pounds. 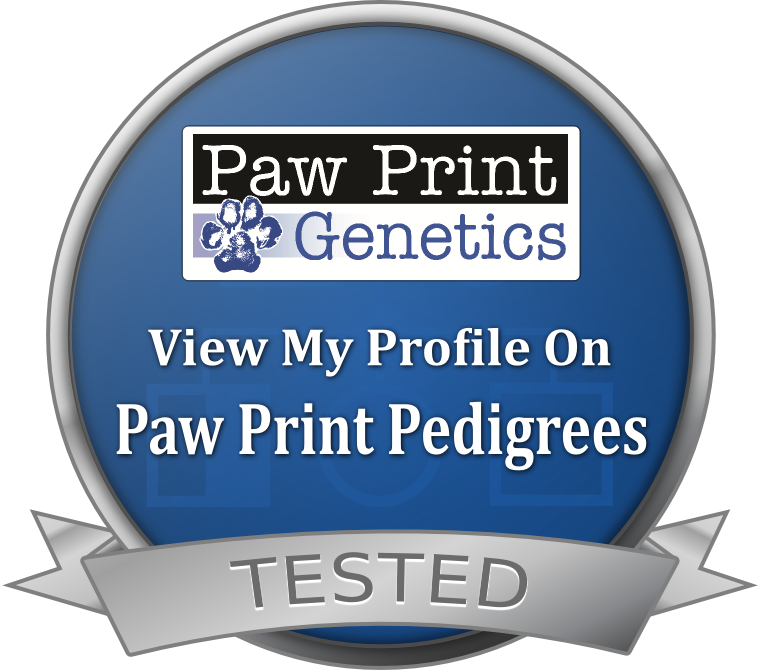 He is health tested through Paw Prints cleared by heritage results as well as DNA tested through Canine Health Check to ensure he is cleared of EVERY known canine genetic disease. Oakley has passed his OFA testing results for prelim hips, prelim elbows as well as eyes, patellas and cardiac. He has produced outstanding puppies with beautiful coats and amazing minds. We are so pleased with what he is bringing to our program.